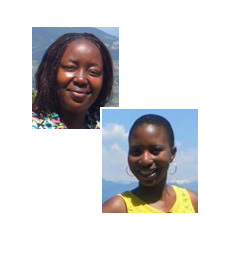 University of Fort Hare and Rhodes University recently sent two researchers, Sibukele Gumbo and Fortunate Gunzo for an enjoyable 6 weeks summer visit to Italy. This visit was part of the Marie Curie Actions International Staff Exchange Scheme project, ICT in Low Resource Settings: Innovating for Africa and Europe through Living Labs. 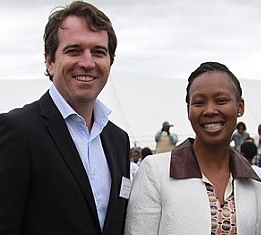 Project collaborators include Fondazione Bruno Kessler(FBK, Italy), Fraunhofer FOKUS (Germany), Rhodes University and the University of Fort Hare. In Italy, the researchers enjoyed the warm and generous hospitality by the ICT4G Unit in FBK, Trento. 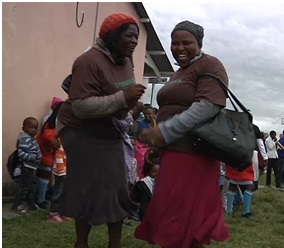 Together, a seminar entitled A Story of a South African Living Lab was organised and presented to members of the interlinked FBK and University of Trento communities. Subsequently, further discussions with people interested in ICT for Development occured. 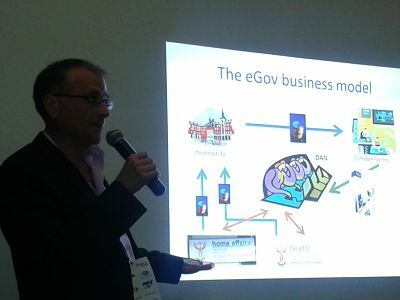 On the 11th of March 2014, Siyakhula Living Lab's Sibukele Gumbo joined other established and emerging South African and Tanzanian Living Labs, and other ICT bodies in Dar es Salaam, Tanzania for a one day workshop entitled, “Living Lab workshop for co-creation and innovation between South Africa and Tanzania”. 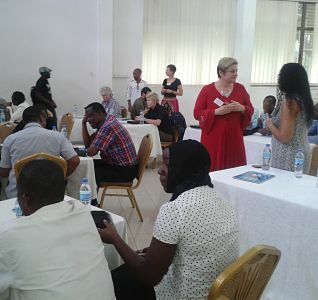 The event was jointly organised by Dar es Salaam Institute of Technology (DIT), Tanzania Commission for Science and Technology (COSTECH), Living Labs in Southern Africa (LLISA) and CSIR Meraka (supported by the NRF). The 44 attendees featured delegates from Nelson Mandela Metropolitan University LL, North West University LL, WIN LL and Reconstructed Labs in South Africa and the Ministry of Community, Science and Technology, TANZAICT, RLabs Iringa, Arusha Ecolab, Mbeya, Kegamboni Community Centre (KCC), Tanzania Youth Icon (TYI) and Sengerema Living Lab based in Tanzania. The goals and outcomes of this workshop included awareness creation, exchange and sharing of knowledge and information borne through experiences in our centres. The attendees also had the opportunity to conduct group discussions on the advantages of Living Lab involvement to stakeholders, namely government, academia, industry and developmental bodies. This year, the prestigious Southern African Telecommunications Networks and Applications Conference (SATNAC) conference was hosted at Stellenbosch's Spier Estate in the Western Cape. SATNAC is the flagship conference for the 16 Telkom Centres of Excellence hosted in Computer Science and Engineering Departments at universities around the country. The 3 day conference was held from the 1st - 4th of Sept 2013. The welcome address was delivered by Prof Brian O'Connell, Rector and Vice Chancellor at University of the Western Cape, and the keynote address was delivered by the Honourable Yunus Carrim, Minister of Communications - South Africa. In his speech, the Minister reaffirmed his commitment to deliver a broadband policy, strategy and plan by the end of Nov 2013. 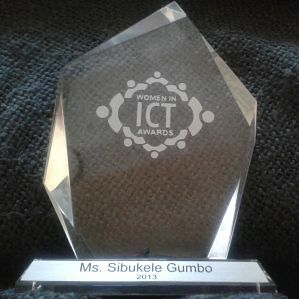 Read more about Congratulations to Ms Sibukele Gumbo, the Siyakhula Living Lab Project Lead, for winning one of the 2013 Eastern Cape Women in ICT Awards! 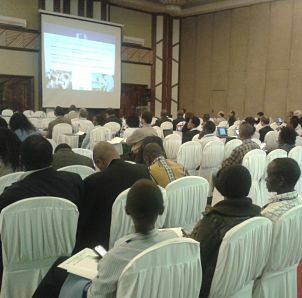 This year, the IST-Africa Conference and Exhibition was hosted at the Safari Park Hotel, in Nairobi, Kenya on the 29th to the 31st of May 2013. The event, which was the 8th of its series, and was attended by approximately 400 delegates, mainly from Africa and Europe. It featured 11 exhibition stands and 45 Parallel Sessions with representatives from public, private, education and research organisations in 40 countries (22 African and 18 European). I made a short Siyakhula Living Lab presentation in an intervention session on Tuesday the 28th in the Annual Living Labs Working Group Meeting. This group meeting was intended to discuss the potential of leveraging Living Labs methodologies for socio-economic development. 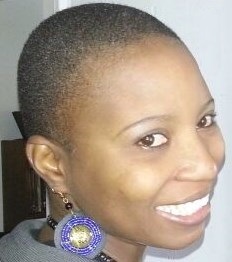 Two Siyakhula Living Lab papers were presented at the parallel sessions at the conference. Mathe presented a paper entitled ‘A Look into Classification: Towards Building an Indigenous Knowledge Platform for Educational Use’ in the Technology-Enhanced learning session, while I presented ‘eSkills Training on Communal Fixed Infrastructure as an Activator of Personal Use of Mobile Internet’ in a Living Labs to Support Skills Development session. 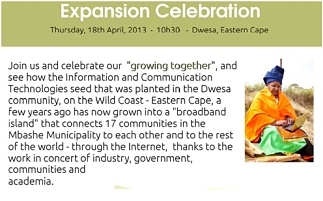 On behalf the Siyakhula Living Lab rural communities and university researchers, I would like to humbly thank the presence of attendees from national, provincial and local government, industry, academia and other entities, at the celebration in Dwesa. The huge turnout, support and vibrancy (in the rain and cold) meant quite a lot to us. 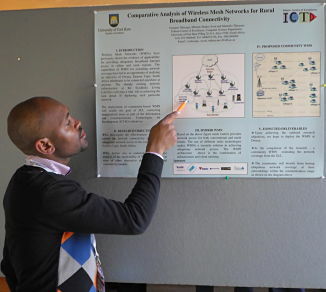 showcase the fieldsite from which the Telkom Centres of Excellence in ICT4D and Distributed Multimedia derives their research projects.